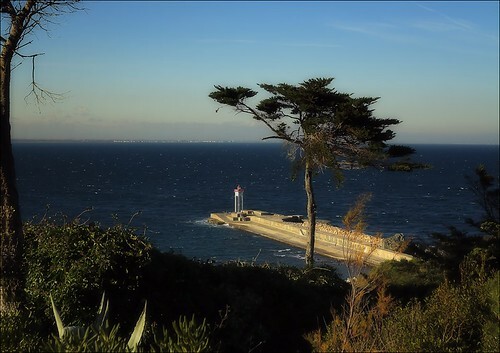 History of the Port and the Semaphore station in Port-Vendres. Even before it became an important harbour of the Kingdom of Majorca during the 13th century, Port-Vendres had already been known since the 6th century BC by Greek navigators as « Portus veneris » (the port of Venus). There has always been an important shipping activity in this natural shelter. From 1838 on, when France got involved in economical exchanges with North Africa, the port was enlarged and improved. It enabled Port-Vendres to become an important commercial port (“the shortest crossing and the most sheltered waters”). Goods and passengers traffic flourished and increased until 1962. On the Cap Béar, to the south of the town, the lighthouse and the semaphore keep watch on the coast. The Cap Béar semaphore built in 1861, belongs to the French National Navy and is used to control the sea traffic and to establish weather forecasts.